@winejennifer | I love wine and my boys. I love wine and my boys. Calgary’s WineFest goes this weekend at the BMO Centre and I’ll be in the booth with Delf Wines pouring up some samples for the masses. Before I tell you about the wines in the flight we’ll be sampling, make sure you check out these tips on How To “Do” A Winefest. While some treat it as a wild open bar party, it really can be an educational experience (and party) if you approach it properly. Peppery, earthy, tea, black cherry, smoky nose. Soft, round, smooth, slightly sweet entry with good acidity. Spicy, black cherry, cedar, meaty, pepper flavours. Medium-bodied with full flavours of cherries and plums — all the fruit but without the sweetness. 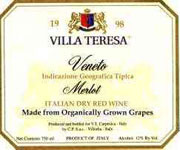 Its Italian character comes through in earthy and herbal notes. 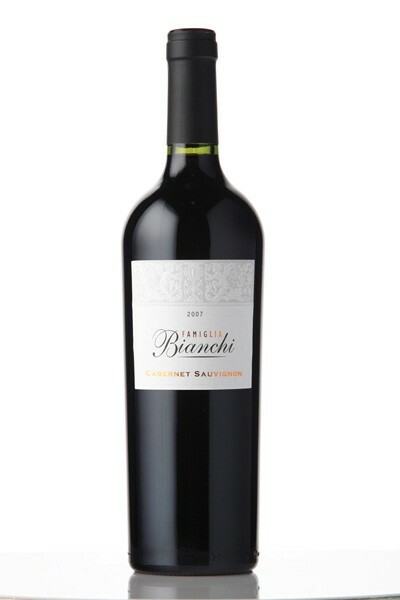 Excellent with salami, pork and white roasted meats. If you’re coming to WineFest this weekend, please introduce yourself to me in the Delf booth. 1. This is their Christmas. Most pourers have been pulling 12+hour days pouring wine and entertaining VIPS all week, so be patient with them. 2. Sloppy drunk people may be fun at the bar, but they’re not fun at WineFest. Have a good time, but keep it under control. 3. Raising your glass and clinking it on the bottle isn’t necessary. Say “when”, when you mean “when” and they’ll stop pouring. 4. Perfume and smelly hairspray. One of the most powerful qualities of wine, is its bouquet. Dousing yourself in Curious by Britney Spears and emptying a bottle of Final Net on your head before you leave will not only kill all of your senses, but those of the people around you. You think we’re kidding, we’re not. Not even a quick spritz. Go au naturel to this event. PLEASE! 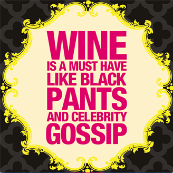 So now that you’re well versed in the behind-the-scenes secrets of WineFest, you’re almost set. One final thing to remember: plan a way to get home. These open bar shenanigans can get out of hand very easily. Unless you’re spitting, you’ll be done in half a dozen booths or less. So get home safe. Everyone loves wine. Nobody likes a dead drunk. There are a variety of Wine Festivals in Calgary each year, one seems to happen every few months. Liquor Depot sponsors the Rocky Mountain Wine and Food Festival in October, Co-Op sponsors The Grape Escape a couple of times a year, Calgary WineFest is in February, while Willow Park Wine and Spirits has events at their store year round. Here are my tips and tricks as you head down to get your grape on. 2. Respect your palate. Start with the light wines and finish heavy (ie save the Ports til last) If you’re going on 2 separate nights, do white one night, red the other. 4. Bring a journal or notebook to take notes on what you’re trying. Trust me, 5 glasses in you’ll forget what you had first. 5. Try something different than what you always buy – here’s your chance to go on an adventure with minimal risk. 6. Don’t wear white. Even if you don’t spill, someone else might. Jen saw someone in a beautiful white suit one year, with a lovely streak of shiraz right down her back. 7. There are no dumb questions, you’re there to learn, and the pourers are there to help. 9. Spit spit spit spit! You’re going to be drinking a lot, so even if you’re looking to get your drunk on, spit. 10. Don’t rinse your glass with the water at the table, people think they’re spittoons (see #9). Instead, ask the pourer for a splash of the wine you’re about to sample to rinse out your glass. Wine Tasting with Andy Milonakis has had me giggling all night. Milonakis was born with a congenital growth-hormone condition that gives him the outward appearance and voice of an adolescent even though he is an adult in his mid-30s. In his high school years at John Jay High School, in Cross River, New York, he would use comedy as a means to cope with incessant bullying. 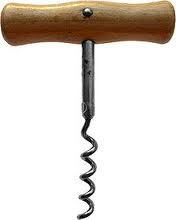 The Cork Quality Council has released a survey reporting that almost all wine drinkers prefer wine that’s corked. Sorry, they prefer wine with a cork. Problem is, 1 bottle in each case with the cork will be corked. According to another poll, the romance of cork and the whole ritual of opening wine is losing it’s appeal. The survey performed by Wine Intelligence for its 2011 Closures Report, showed 85% of the regular wine-drinking population now accepts screwcaps – more than double the rate of acceptance in 2003. While 51% of consumers say they actively like buying wines under cork, 42% like buying screwcapped wines – a figure that has increased sevenfold compared to eight years ago, when 6% of consumers said they actively liked screwcap. At recent wine trade shows I’ve worked, the tasters are asking for cork or screw info along with the tasting notes. 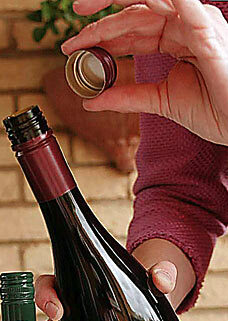 Hotels, banquets and bars prefer the screwcap because it’s easier to open and store. I’m a female wine drinker (about to turn 40) and I prefer the screwcap. It’s easier to have a glass and a half at dinner and slap a screw top back on than it is to jam a cork back in the bottle. It’s convenient and even the winemakers I’ve spoken with recently prefer the screwcap closures. Sure, there are some that will never have screwcaps (champagne and port), but it is trending. In the end, does it really matter? It’s just grape juice. When it comes to clever sayings about how wine fits into your life, none are better at coining them than Naughty Betty. The company is all about turns of phrase in bold fonts and patterns. Wondering how wrap a bottle of wine? If the Wine Monkey doesn’t suit you, then maybe Naughty Betty‘s collection of Wine Wraps will inspire you. The removable sticker covers the wine label with a clever saying and comes with a To/From sticker for the neck. We all know it’s wine, might as well make it fun. Cocktail napkins are a staple of the Naughty Betty site and she has a few fun wine-themed ones. You can find some of the Naughty Betty products in Canada at Pier 1 Imports, but the selection is best online. Tis the season to go to Christmas parties. Whether its a celebration with sales and accounting, or just an open house with your best friends, here’s a list of 3 Canadian wine apps to help you find the available fuel for those parties. This is an update to the NatDecants app which used to be in the App Store for $2.99. Now the app is free with the option to subscribe to MacLean’s newsletter for $2 a month. This app is a serious upgrade over the original. You can scan barcodes of wines and instantly pull up reviews. 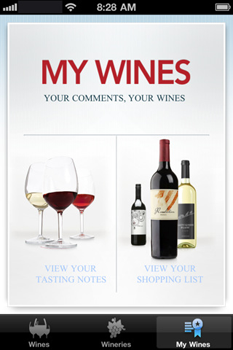 You can sort your own tasting notes, keep track of wine’s you own or have tasted in virtual cellars. When you find a wine you like, not only is a list of 4 or 5 pairing menu items presented, but you can click through to complete recipes! The free portion of the app will give you access to MacLean’s decade plus backlog of reviews. The paid portion will open up more recent content. Canada’s authority when it comes to tasting notes has a gorgeous and easy to use app. You’re presented with a few options at the start. You can select a wine name, varietal or winery, you can choose a wine colour, type or country or you can search through the magazine’s top rated wines. Again there’s a portion of the app to help you store your own personal tasting notes, and keep a shopping list of wines to get when you’re next out shopping. The app itself helps you drill down through the specific menu items to find perfect pairings as selected by the local sommelier. You can also do your own sorting by varietal, region or price. Its wine. Everyone knows it’s wine. Whether you struggle to wrap it, put it in a glitter gift bag or hand it to them plain, it’s wine. Wine is a great gift to bring to any holiday party and is always handy for the hostess to have on hand. Everyone loves a sock monkey. 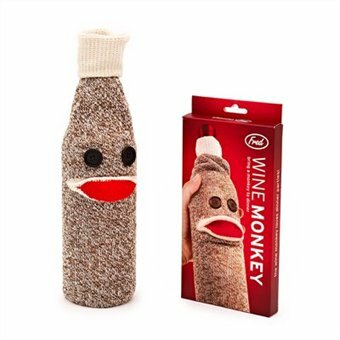 This is a sock monkey that loves wine. And once you’ve drained everyone’s bottles, you’ll have a lot more fun making up silly voices for the wine monkey than a brown paper bag. I don’t know if I’d really use this bra with ballasts to drink wine, but if you’ve really got to get your drink on at a festival or hockey game – fill your boots .. er .. bra. Is it any shock The Wine Rack comes from the same company responsible for The Beer Belly? At $30, these might just be the gag item to bring to the company gift exchange. Noted wine writer Natalie Maclean is out with a book in time for the holiday season and if you’re looking for a perfect pairing, check out her app. Unquenchable: A Tipsy Quest for the World’s Best Bargain Wines, is a hit, already hitting the top 5 on the bestsellers’ list. Her app is also a great release. Natalie Maclean Wine Picks and Pairings can scan more than 150,000 wines for tasting notes and information. I'm a representative for The Delf Group in Calgary. In full disclosure, many of the products I write about are ones I represent.